It’s official. 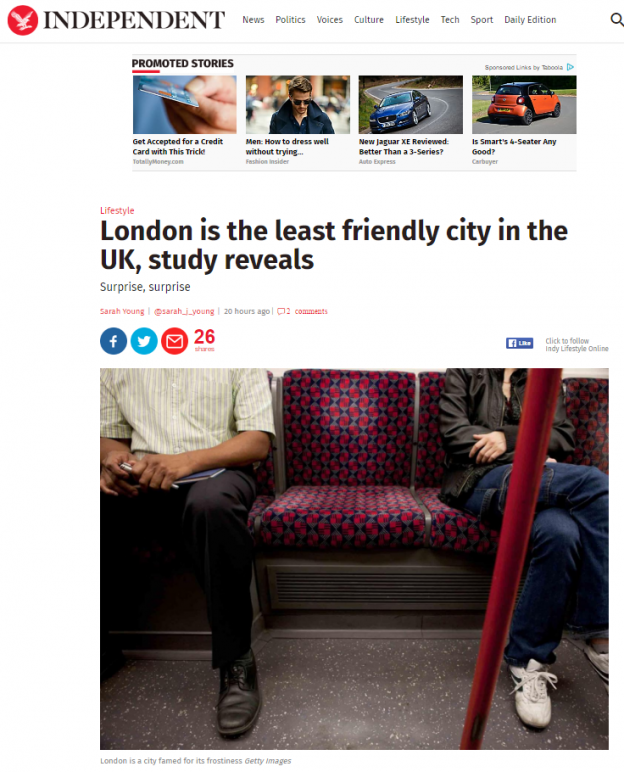 London is the least friendly place in the whole of the UK. 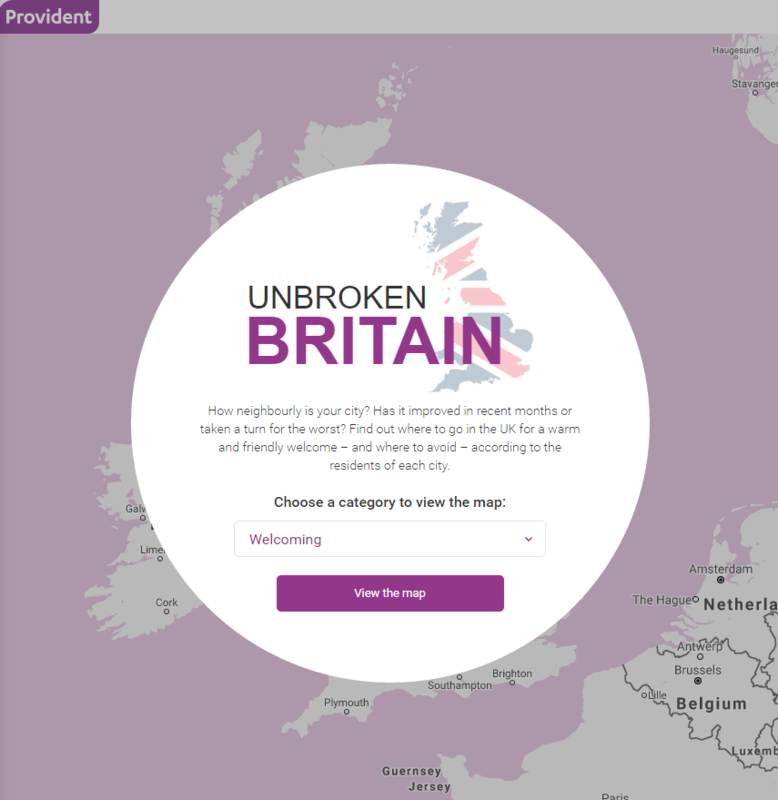 Provident Personal Credit asked 2,642 people on a scale from one to 10, how they felt about their local area encompassing eight separate factors from how clean and safe it felt, to how welcoming or gossipy the locals are. This entry was posted in Provident on March 21, 2017 by Michael Marshall.